GOKPOP | Exclusive K-News in Malaysia & Singapore: [FREE Fried Chicken Alert] NeNe Chicken Continues to Delight Malaysian with its Double Opening in Avenue K & Plaza Merdeka Shopping Mall! [FREE Fried Chicken Alert] NeNe Chicken Continues to Delight Malaysian with its Double Opening in Avenue K & Plaza Merdeka Shopping Mall! Foodies and fans of K-Pop rejoiced as South Korea’s largest fried chicken chain, NeNe Chicken announced its latest outlet opening in Avenue K, Kuala Lumpur and Plaza Merdeka Shopping Mall, Kuching. It is also a milestone for the Korean fried chicken chain as it marks the first ever NeNe Chicken restaurant in East Malaysia. 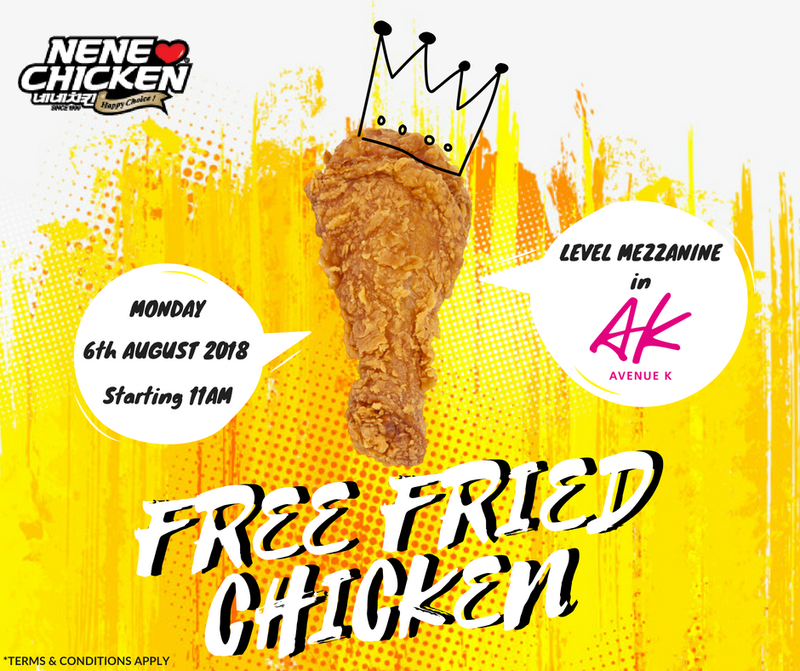 In celebration with it's launch at Avenue K, NeNe Chicken will be giving out FREE fried chicken to first 50 customers on 6 August (Monday) starting from 11AM onwards. “We like to do things differently, and our ultimate goal is to make our guest happy. Each restaurant has really given us encouragement as we serve our customers with high quality food and great taste. Sarawak is an important milestone for us, and we are doing our best to expand as quickly as possible. 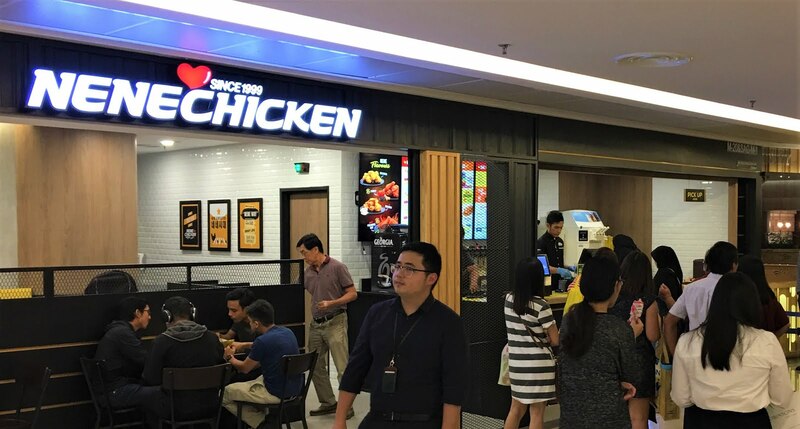 We hope to serve even more customers across Malaysia soon.” said Managing Director of NeNe Chicken Malaysia, Raymond Wong. 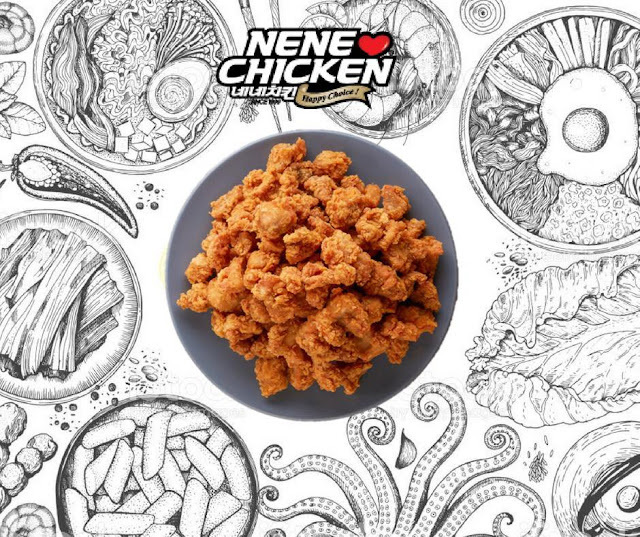 For more updates, fans can follow the NeNe Chicken Malaysia Facebook and Instagram page, and the full menu can be viewed on www.nenechicken.com.my.